Suppose you wanted to build a star. Perhaps you’re part of an advanced Kardashev Type 3 civilization, and you need to make a star for your third grade science project. How would you go about creating a star? On a basic level, it’s quite simple to build a star. Simply gather a star’s worth of gas and dust, let it collapse together under its own weight, and given enough time a star will form. This is how stars form naturally. But since we might be graded on this project, it would be nice to have an idea of how much mass we might need, and what the size and temperature of the resulting star might be. The answer depends quite a bit upon what material you use, and how the material behaves under different temperatures and pressures (what’s sometimes called its equation of state). Since the most common material in the universe is hydrogen, lets keep things simple and assume we’ll build our star out of pure hydrogen. Since hydrogen has a very simple equation of state, it’s an easy matter to calculate what will happen as we build our star. Size of planets by mass. When we start to gather hydrogen together, two things will start to happen. The first is that the gravitational attraction between the hydrogen atoms will start to collapse the gas under its own weight. The second is that the pressure of the hydrogen will push back against the weight. Given time the gas will reach hydrostatic equilibrium, where the pressure of the gas is equal its weight, at which point you have a stable ball of hydrogen. This by itself isn’t enough to make a star. If you gathered a Saturn’s mass worth of hydrogen, what you would have is a Saturn-sized planet, not a star. The obvious solution is to simply add more hydrogen, which would make your planet bigger and bigger. Eventually your ball of gas would grow to a Jupiter-sized planet, and you just keep adding more hydrogen. Peak size for a Jupiter-type planet. But it turns out that something interesting happens when you keep adding more hydrogen to your planet. The more hydrogen you have, the more mass you have, and that means more weight. The gas is squeezed more strongly, and as a result it compresses. So if you double the mass of your Saturn-sized planet, you don’t get a planet twice as big as Saturn. You get a planet that is a bit bigger than Saturn, but with a higher density. For example, Jupiter is more than three times the mass of Saturn, but only about 15% larger in size. However Jupiter has an average density about twice that of Saturn. 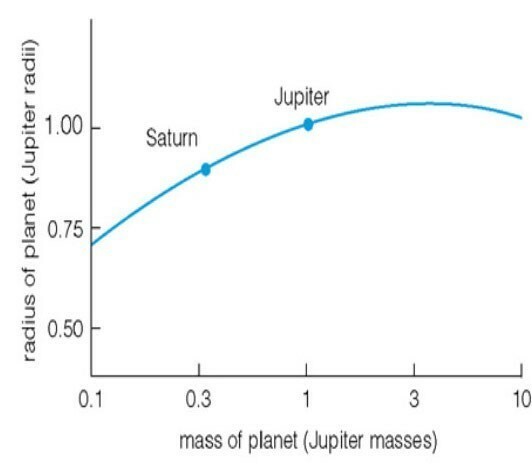 As you keep adding more mass, your planet will get bigger up to about 3 Jupiter masses. At that point, the weight of your ball of hydrogen is so large that adding more actually makes the planet smaller. As a result, a planet 10 times the mass of Jupiter would be about the same size as Jupiter itself. This poses a real challenge for astronomers that study exoplanets. 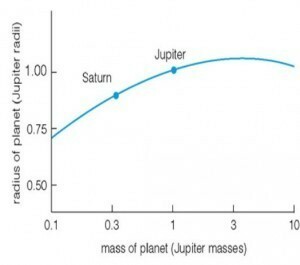 Just because a planet is Jupiter sized doesn’t mean it has a Jupiter mass. The same is true for smaller planets. A “super-Earth” planet a bit larger than Earth could be a rocky planet or a small Neptune-like planet depending upon what it’s made of. Once your ball of hydrogen reaches about 15 Jupiter masses it enters the regime of brown dwarfs. Adding more mass continues to make it smaller, but by this point the temperature of its interior starts to play a significant role. Our simple model of hydrostatic equilibrium isn’t enough. The hydrogen in the center is being squeezed so strongly that it heats up significantly. So while a brown dwarf is roughly the same size as Jupiter, it can be more than 10 times hotter. Adding more mass continues to shrink the brown dwarf slightly, but there comes a point where the interior becomes so hot that it raises the pressure of the hydrogen faster than the added weight can squeeze. Just as there is a maximum size for a planet, there is a minimum size for a brown dwarf. That minimum size is about 80% that of Jupiter, at which point a brown dwarf has a temperature of about 2000 K. Such a brown dwarf would look like a small, dim star. 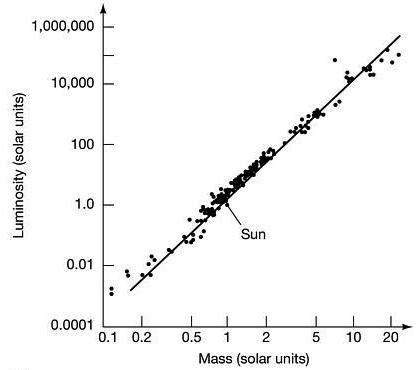 Size vs mass for main sequence stars. But a true star is one in which nuclear fusion occurs in its core. A star’s light and heat isn’t due to gravitational contraction, but rather the creation of energy by fusing hydrogen into helium. This starts to occur when your ball of hydrogen reaches about 90 Jupiter masses, which coincidentally is about the same mass as a minimum-sized brown dwarf. Now that you’ve made a star, adding more hydrogen just makes it larger and hotter. Because stars fuse hydrogen in their core, their size and density changes over time. But if we only consider stable, main sequence stars, then there’s a simple relation between mass and size. So you can just decide how much hydrogen to use, and calculate the size of your star. Of course this is just a simple hypothetical stars. Real stars aren’t made purely of hydrogen, and depending on their origin and age they can behave very differently than our simple star. The details will be left as a homework exercise for the reader. If I were making a new star for the Solar system, I’d make a duplicate Proxima Centauri and put it in the sun’s ecliptic plane out in the Oort cloud. I think I’d name it Scapegoat, since it would no doubt get blamed for every event from ice ages to asteroid strikes. First a WHAT IF? and now a HOW TO, and those coupled with all of the knowledge postings….You are the best Patreon ‘investment’! 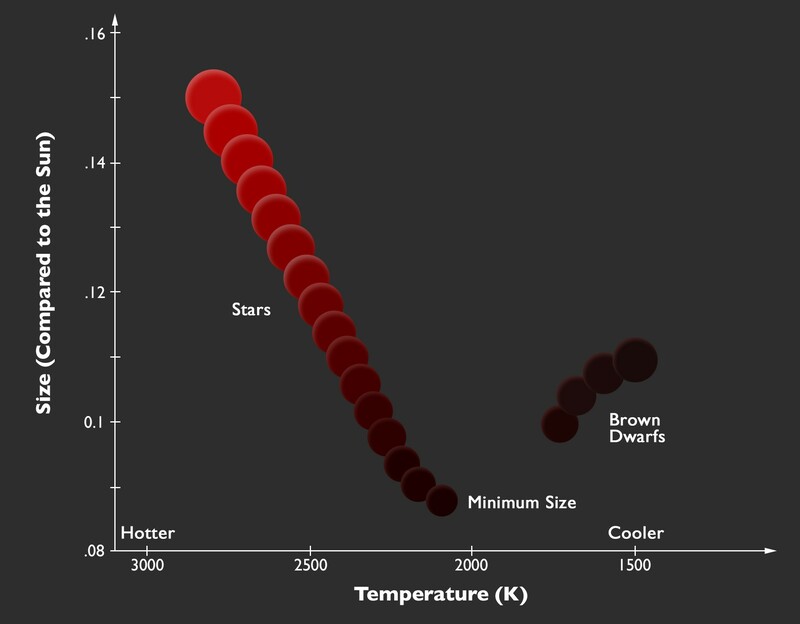 That brown dwarf at 2000 K … is the heat just from Boyle’s Law? So if we need 90 jupitor masses to ignite our star. How much interstellar space (i.e. not from a function solar system) would we need to hover up to gather this amount of material? i.e. How many square AU of space must we condense into a single body?